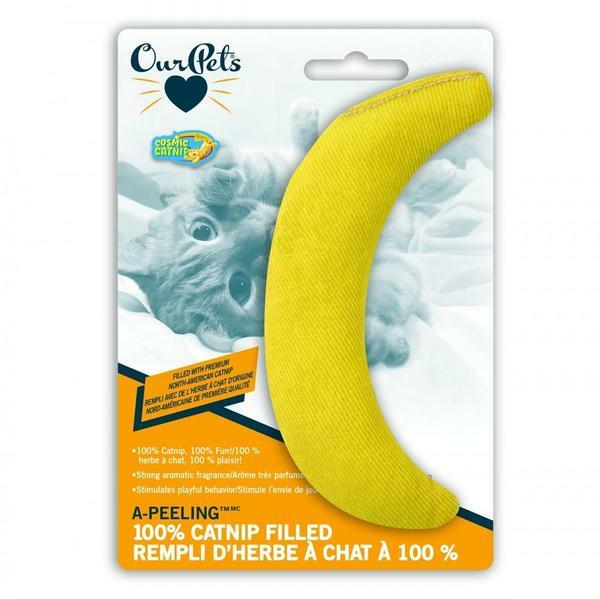 Stimulate your cats senses with a banana stuffed with 100% organic catnip! Catnip has different effects on cats, from rubbing themselves all over it, to bounding, to just wanting to kick the *! ($# out of it! Either way - they will almost certainly have a lot of fun with it.